Klout closes this week: are we now living in the world Klout built? Klout, the leading ‘influence score’ platform, ever-present over the last ten years, has generated much debate on influence scores and metrics, and been the back bone to many influence lists. Many of which I have appeared in, and delighted to have done so, from the early Guardian Sustainable Business lists to Global CSR influencer lists, Tridos Bank Sustainability Colour of Money listing, to the current and excellent Jim McClelland’s weekly (Built Environment/BIM/Modern Slavery) Top 500 series. I think my highest Klout was 68 and I think of that as something to be proud of..
Or maybe Kout has achieved what it set out to do, creating an influencer economy and reached the end of its ride – as Liriel Higa wrote recently in New York Times, We’re living in the world that Klout built. On May 25, Klout will shut down, but not because what it set out to do is irrelevant. On the contrary: Klout is closing because, well, we’re living our Klout scores now. The “influencer economy” is thriving, and it has created a new vocabulary. I just reached 500,000 Facebook fans! My YouTube video went viral. OMG, did you see who commented on my Instagram post? I’m trending worldwide. I checked in so many times I’m the mayor of my local bar. I was happy to get a professional boost from social media influence; today, entire careers are built on it. In our influencer-driven world, Kim Kardashian gets paid $500,000 for touting a product on Instagram. Product placement on social media is so rampant that Olivia Wilde felt compelled to include the hashtag #notanad when she posted a picture of new sustainably made sneakers by Nike. Within my social media workshops and coaching sessions I point out the work of Kasanoff in 2013, that true influencers across social media, are Generous and Expert,in that they, we, are proactively generous with expertise before people need that information. As Munish Datta wrote in a contribution to FutuREstorative, Sharership is the new Leadership. And, as such, maybe influencers do not necessarily need a score or a ranking to be recognised. However, we all, or many of us, like listings, high scores and the recognition to be ranked highly in listings. Listings based on Klout algorithms were once a pleasing mix of companies and individuals, demonstrating individuals have as much influence on improvement as large organisations, particularly in the construction world of sustainability, CSR, BIM etc, Such lists now topped out and dominated by large corporate and institutional organisations, suggest Klout scores have been compromised by perceived importance bias towards of organisations. It will be interesting to see how Kred rankings pan out on the large organisation / individual influence issue. Klout may be no more, but the influence of Klout will live long. This entry was posted in comment, social media and tagged be2camp, built environment, FutuREstorative, Jim McClelland, klout, Kred, Munish Datta, peerindex, Sharership, social media on May 23, 2018 by martin brown. We have become very familiar with the Triple Bottom Line approach for Sustainability and Corporate Social Responsibility, ie Environment, Society and Economic. 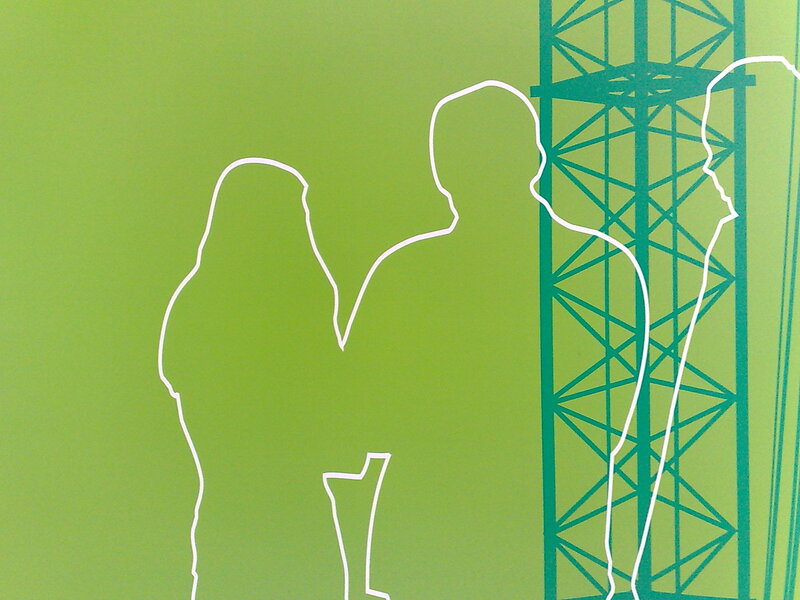 It forms the basis of many environmental and sustainability visions, policy statements, and development initiatives. In the business arena, this is the acknowledged responsible ‘bottom line’ of meeting economic goals (usually profit) whilst also meeting environmental (impact) and social (community) goals in carrying out business activities. The triple bottom line approach provides a practical framework for the development of policies and strategies to drive institutional change. 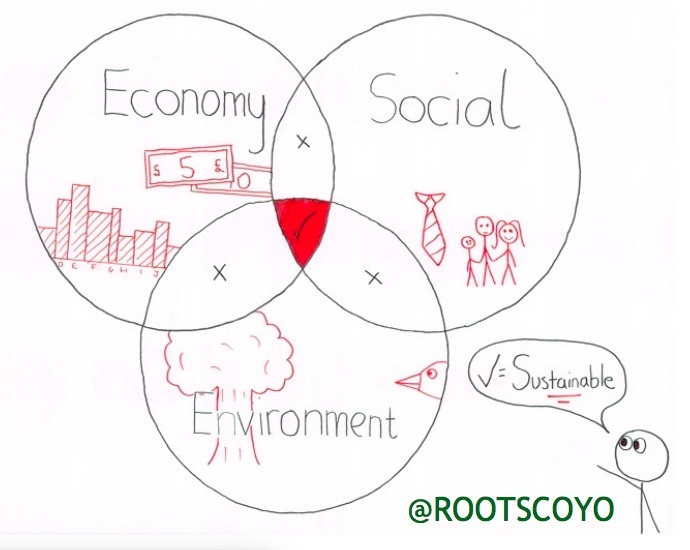 And of course we are now familiar with the well used triple bottom line venn diagram. If like me you loved Venn Diagrams at school, then its a real pleasure to see such vital and complex issues such s sustainability expressed as three interwoven circles. The Triple Bottom Line has also been represented as a three legged stool or as three columns. As mentioned previously on this blog, this triple bottom line thinking can be traced back to Patrick Geddes who, now recognised as the Grandfather of Town and Country Planning coined the triptych Place, Folk and Work. Its current concept however is credited to John Elkington in his 1998 book Cannibals with Forks:Triple Bottom Line of 21st Century Business. Whilst we can easily identify Geddes’ Place as being the Environment circle, (note, interestingly the Living Building Challenge renamed its Site Petal as Place for version 3), the Work aspect is readily identified as the Economy circle, there is an uneasy fit with people or folk within the Society circle. Are staff part of society, and where do the governance arrangements of a business (including vital for sustainability ISO 9001 related quality and organisational arrangements / controls) fit into the sustainability three circles? Governance, or Culture is defined here as including both the formal business, administrative and ‘control’ processes of an organisation, as well as the informal networks, traditions and cultural and behavioural norms which act as enablers or disablers of sustainable development. This new, fourth leaf on the sustainability venn diagram, raises both important questions and huge opportunities for advancing sustainability development, and could usher in a new generation of sustainability thinking. This entry was posted in Venn Diagrams and tagged biophilia, collaborative working, communications, Diversity, education, Equity, Fairpay, Governance, Happiness, Health, JUST, Living Building Challenge, Quadruple Bottom Line, social media, sustainability, triple bottom line, Wellbeing, Working Places on July 30, 2015 by martin brown. It has been huge fun co-hosting the sustainability leadership conversation since back in early 2013. This labor of love has introduced us to new ideas, leaders and friends, both in social media and in real life. However with emerging additional commitments (Martin with his forthcoming FutuREstorative book, Andrea in her new We Mean Business role) we have decided to scale back. What ambitiously started as monthly chats, then dropped to every two months or so. We now propose to drop to 3 or less per year, likely with Martin taking the lead and Andrea an occasional guest host. Having given time freely to run the conversation series for a few years now, we have huge respect for others who run regular successful chats on twitter. They are time consuming and don’t happen overnight. Guests and topic are sought, questions and anticipated responses discussed, promotion and invites managed, in addition to the hosting and post chat transcripts … it all takes more time than the casual tweet-chat observer might realize. Tweet chat hosts are by no means simply hosts. Instead, they need to be fairly knowledgeable in the topic and to know their way around, have experience in and be well known on across social media. They need to have developed a trusted reputation within their topic’s community, and thus, be able to persuade a fair number of people to take an hour from an already busy day to learn in an often very new-to-them way. 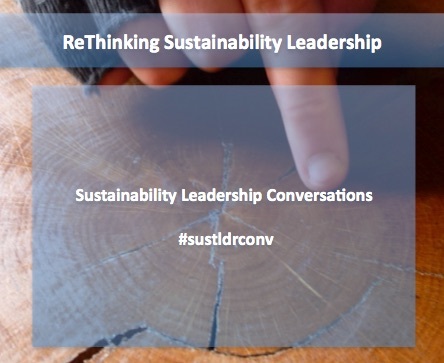 Through #sustldrconv we feel we have established a brand for sustainability conversations. We’ve held very successful conversations, connected many twitter users through excellent guests, and shared great content (see some of our Storify accounts). Perhaps most important to us, we know from feedback that we’ve moved the needle on sustainability awareness for many. Keen to not lose that influence or brand, sustldrconv will continue, but on a less rigid footing, holding chats to meet demand, related to our own work or research and related themes. That said, the experience and skill we have developed should not go to waste. For example Martin will continue to be “for hire” as Tweetchat consultant and Andrea will be using her strengths, perhaps more behind the scenes, with her work the rest of this year. In addition we would not be adverse for our great friends, guests and contributors to the series so far to ‘guest’ host future #sustldrconv from. If that interests you, please so get in touch. We thank you for your interest in, and support of, #SustLdrConv these past years. We have enjoyed learning with you, and have felt so rewarded by perhaps getting even a handful of you more interested in the power of Twitter and sustainability. This entry was posted in comment and tagged #sustldrconv, Andrea Learned, fairsnape, FutuREstorative, martin brown, social media, tweetchats, Twitter, We Mean Business on April 13, 2015 by martin brown. “I didn’t know twitter could be used for business, I thought it was just for complaining and moaning on poor service” A comment from a recent chat on a construction site illustrates the level of understanding of twitter and social media within the sector. OK, it is maybe more daunting to start using twitter today than it was four or so years ago when I wrote in the Guardian “Why Construction Should Engage with Social Media”, but the reasons and rationale for doing so remain the same, but now perhaps with more urgency. So just where would we start today? I liken twitter and social media to the radio, it’s live, it’s full of great comments and content, but also non stop and full of unwanted content or ‘noise’. Therefore one of the modern skills we have developed is filtering out noise from that we are really interested in – we use programme schedules, our beloved wireless sets to tune in and occasionally use the off switch. In twitter we can do this through lists, through hashtags and with suitable applications (think apps such as tweetdeck as your digital wireless) Not only is this now an essential life and business skill, for directors, managers and others in the built environment, its sadly not one included in the sector’s education and training. There are great social media training courses out there – but many are the equivalent of the Letter Writing Courses that many us would have attended pre-email days. Informative and entertaining with many wow tips, but the content was soon eclipsed and rarely applied, which is why I continue to recommend and deliver one to one coaching over time. “Resistance to twitter is futile” as my colleague Andrea Learned wrote in her Linkedin article recently. You will start using it sometime soon, your competitors are most likely using it today, your staff are, and the most informed on built environment sustainability issues certainly are. This entry was posted in comment and tagged Andrea Learned, construction, Dimbleby Lecture, Linkedin, Martha Lane Fox, social media, sustainability, Twitter on April 2, 2015 by martin brown. Twitter has changed the way we can view favourites, and indeed view other peoples favourites in our timelines. With so much great information, comment and experiences now shared across twitter, particularly for me in the sustainability, BIM, construction and CSR spheres, the favourite button is important element of twitter. Accordingly I use the favourite button a lot, to save a reference for future reading, to flag a tweet for later action, if for example I am unable to RT or respond to there and then, or even just to acknowledge the tweet, as an alternative to Re-Tweeting. Within Evernote the Favorited tweets land within my ‘TwitterFav’ notebook which can be read when time permits, (across all devices, phone, ipad, laptop) and moved on to my main Notebook if worth retaining for reference, and importantly tagged for easy retrieval. Easy, and for me an effective work flow for managing favourites. This entry was posted in social media and tagged evernote, IFTT, social media, Twitter on August 29, 2014 by martin brown. What can social media offer in support of Construction Innovation, Information, Process and Management? Today’s construction and built environment sector faces exciting but immense cultural, societal and technological changes. This is evidenced through a myriad of issues; a rapid escalation in the need for improved sustainability; better information management and advanced construction techniques; to test and challenge established practices. My guest editorial to Construction Innovation, Information, Process and Management (Volume 14 Issue 3) provides a snapshot of social media (past, present and future), including why and how this new collection of tools can be used to purposefully improve construction. Social media, alongside web 2.0 applications have been major disrupters for many industries, from music to books thorough to newspapers and journalism. These disruptions have led to new platforms and avenues for future innovation and creativity. 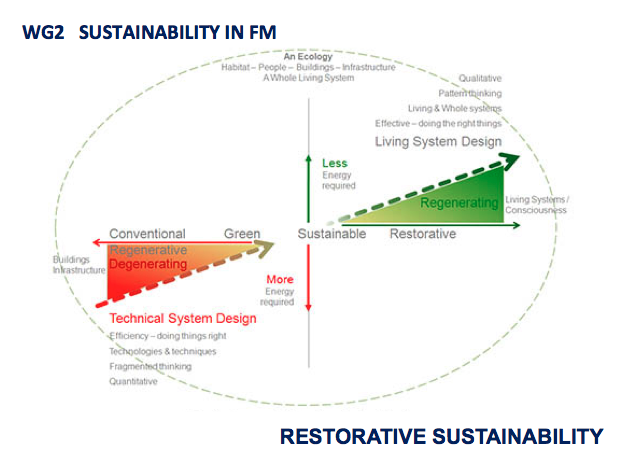 Just how much social media, BIM/modelling, and the move towards transparent, responsible sustainability will disrupt construction and the built environment in coming years is one of the salient questions to address (and one that makes construction such an exciting industry). Social media is by no means a panacea solution for construction improvement or, indeed, a means of replacing all construction communication. It is, however, a vital tool in today’s construction improvement “toolbox”. 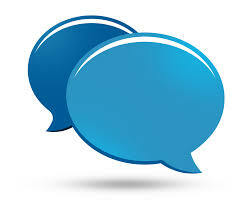 The discussion now needs to move beyond social media as a technology to social media as a crucial enabler. This entry was posted in comment, innovation, social media and tagged construction innovation, editorial, Information, Process and Management, social media on August 21, 2014 by martin brown.